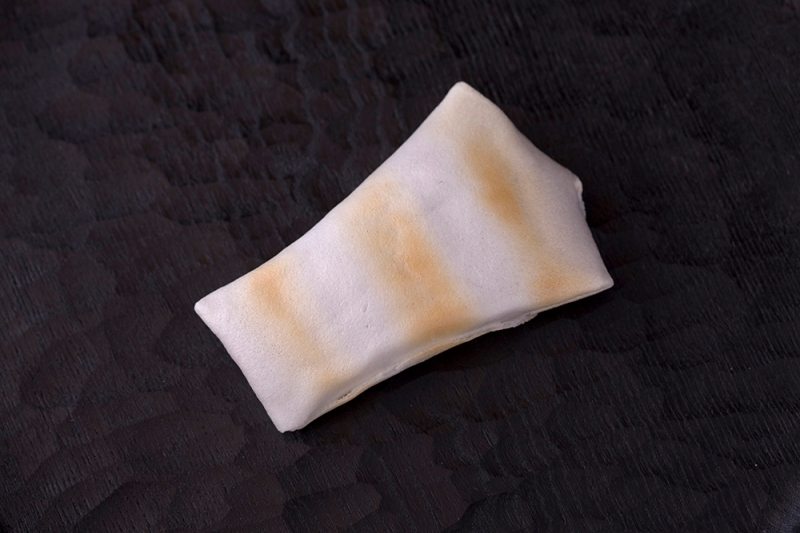 Kaichu-shiruko shaped as an Eboshi (a hat from the Heian period). 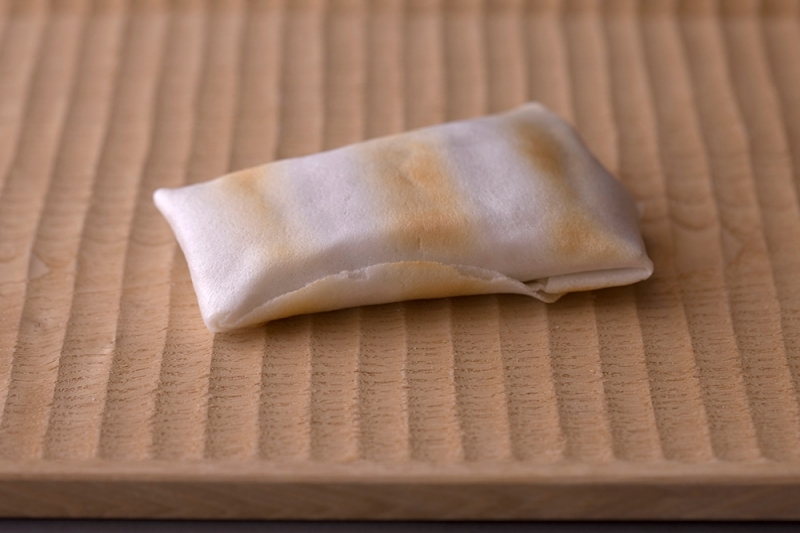 a fragrant Oshiruko with cooked “Fu” (wheat gluten) can be made. A good combination with the firmness of “Fu”, much like Mochi.